stand knee-high in Lake Ohrid among the boats moored off Kaneo beach. The water is transparent and the boats appear to float on air. For centuries it was a fishing community within the old town of Ohrid, and Kaneo still smells of wet nets. The only sound is of trickling water from the spring in a cave at the foot of the white cliffs. For over 1,000 years monks and nuns lived in natural caves inside the porous cliffs. The most recent, Kalist, was last sighted in 1937. Situated in the south-west of the Balkan Peninsula, Lake Ohrid is one of Europe’s larger lakes and, at somewhere between one and three million years, one of the world’s oldest. It is a diamond set in a majestic landscape dominated by high ranges and stroked by the warm winds of the Adriatic and the Aegean, linked through underground channels to its companion over the mountains, Lake Prespa. In antiquity the lake was inhabited by Illyrians and Hellenised Macedons; today this lake district is protected by Unesco and shared by three nations: Macedonia, Albania and Greece. My grandmother, Anastassia, grew up between Ohrid and Sofia. 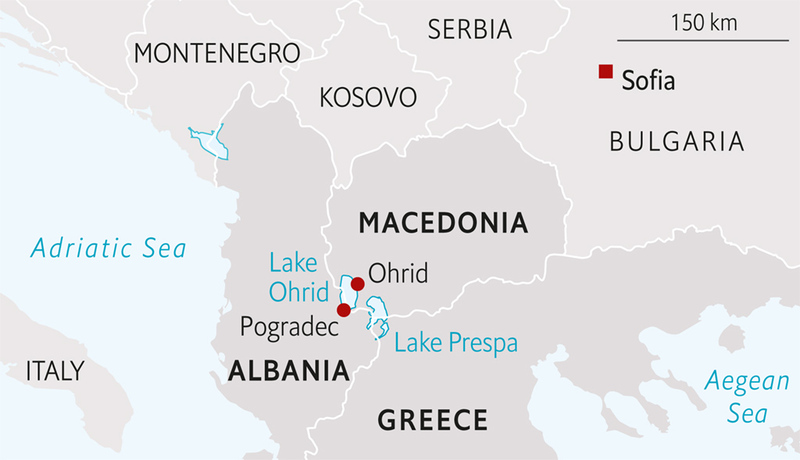 In my childhood, every few years we would pile into the family Skoda and drive the long, pot-holed road from Sofia to Skopje across the iron curtain that separated Bulgaria from Yugoslavia (of which today’s Macedonia was then a part), and south to Ohrid. As a child in the 1980s, I would stand amid the boats in what to me was my grandmother’s lake, and gaze at the distant southern shore. Just as I am standing now. The silence is broken by a blast of music from one of the large tourist boats that criss-cross the lake in summer. I can make out the words of a familiar folk song, dedicated to the women of cosmopolitan Macedonia: “Makedonsko devoyche, kitka sharena.” “Macedonian girl, you are a many-coloured blossom.” Its refrain, despite the celebratory intent, foreshadows loss: “Never ever will there ever be/a lovelier girl than you, Macedonian girl.” The song always brings a lump to my throat. 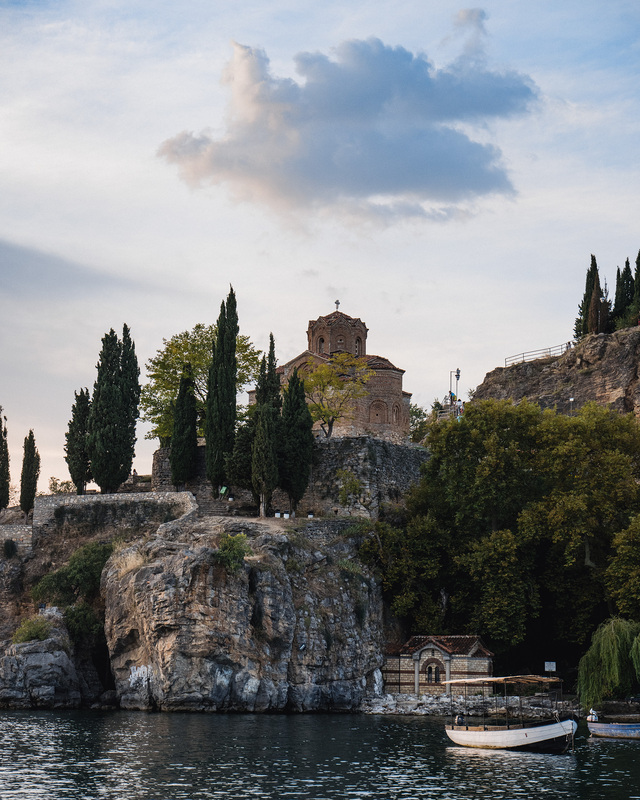 I climb the stone steps to the cliff top, almost expecting to see my grandmother sitting by the cypresses next to the emblem of Lake Ohrid, Jovan of Kaneo, a humble church built seven centuries ago by two Armenian brothers. This was her favourite spot, the lake at her feet like a crater of light, the blue mountains of Albania to the south, and between, the invisible iron curtain which stretched over land and across the water. I keep being drawn back to the lake, as if by some magnetic epigene. With each return, I look for yet another missing piece – in the story of the lake, of my family, and of the Balkans lacerated by borders like the one that severed Macedonia from Albania. Though they shared the lake for 45 years, it was as if they were different planets. Even from our vantage point in Bulgaria, a closed communist country until 1989, Albania, with its hermetically sealed borders, was an enigma. The iron curtain was not binary – it was a labyrinth of divisions and sub-divisions for those behind it. It prevented us from seeing and knowing not only the West, but our neighbours, and ourselves. 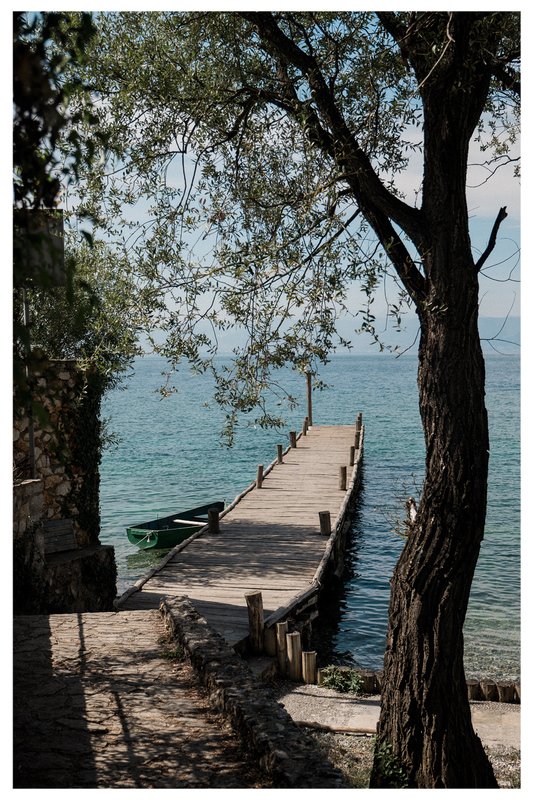 As a girl, I stood on Ohrid jetty, looked at the distant lights of Pogradec in Albania and vowed to go across one day. That time has come. First, I want to see what life is like on this side of the lake since the iron curtain fell. Little seems to have changed. Leaving the huddled houses of Kaneo behind, I make my way to St Sophia Square, the heart of the old town of Ohrid, up and down lanes where curtains twitch as I pass. There are rose gardens and handsome whitewashed houses with jutting upper storeys encased in wood, and windows that catch the lacustrine light. At every corner, it seems, there is a medieval church; Lake Ohrid was once known as the Balkan Jerusalem for its 365 churches, one for each day of the year. They are named after characters from the rich narrative of Eastern Orthodoxy: St Dimitrius, Sts Constantine and Elena, Cosma and Damian, and, at the lower gates of the town where incomers in the Middle Ages were quarantined in times of plague – the hospital-churches of St Mary and St Nicholas “of the Ailing”. 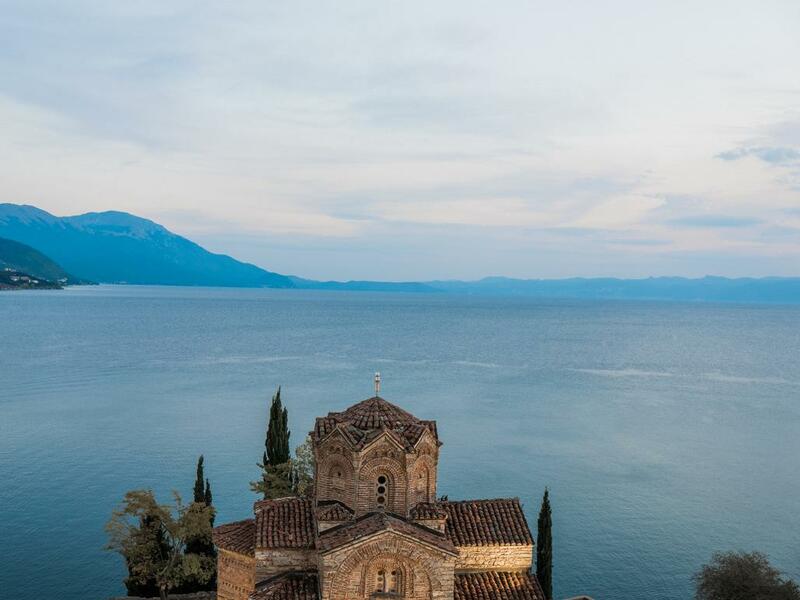 Ohrid town was built on the site of the ancient town of Lychnidus which, according to the Greek creation myth, Cadmus and Harmonia founded after fleeing from Thebes. The exact date it came into being is unknown, but a piece of dated lapidary from pre-Roman days confirms that “LYCHNEIDION HE POLIS”, Town of Light, was here in the third century BC. It has been continuously inhabited since – bar an interruption in the sixth century when plague, earthquakes and invading tribes brought devastation. Some of the tribes stayed, Slavs who gave the town and the lake its new name: Oh-rid means “on the hill”. In the ninth century, the twin lakes became a hub of Slavonic literacy and Enlightenment, thanks to a group of Christian Slav missionaries led by the Bulgarian monks Clement and Naum. They were disciples of Cyril and Methodius, who created the Glagolithic script, a forerunner of the Cyrillic alphabet used today by a quarter of a billion people in Europe and Asia. An elderly guide with a paisley cravat supplements his tiny pension by showing tourists around St Sophia – which is now a museum, like its Istanbul namesake. He asks which family I am from and beams on hearing the surname Bahchevandjiev. I ask his name. A local Turk showing visitors the town’s Christian heritage – this is a normal Ohridian occurrence. My grandmother’s family had lived with a Turkish landlady during the war, and my grandmother cherished the wedding present from her: a pair of silk duvets in Arabian blue. The mingling of pagan and monotheistic, Islam and Eastern Christianity, has resulted in a habitual syncretism embodied in the Cross Mosque in the new town. When it was being built, the story goes, the minaret kept falling down, until someone suggested adding a cross to the crescent. It stands to this day. In the 1660s, Evliya Celebi, an Ottoman travel writer, saw Christians being admitted to pray inside St Sophia, though it had long been converted into a mosque. With its beautiful arches and colonnades recycled from an earlier Slavic church, the pink St Sophia stopped functioning as a temple in the mid-19th century to become an arms shop. With all the wars to come, it was never out of business. These days, in summer, classical concerts are held under the colonnades. Mustafa and I stand above a glass well showing the older foundations. 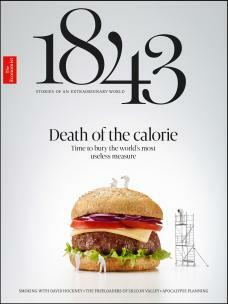 “But not the oldest. They’re yet to be excavated,” he says. I leave him to some scarfed women I take to be Turkish tourists – until they cross themselves and speak Russian. oping to approach Albania by water, I arrange to meet Tanas (not his real name) in his boat by the bridge in Struga, the neighbouring lake town. Its population is half ethnic Albanians. Men in white keche caps promenade by the River Drim. Women walk separately, some of the older ones in the full mantles of conservative Islam. The young wear skinny jeans and t-shirts. At the bridge I watch the river emerge from the lake in an ebullience of crystal water. Tanas is 70 years old, with the leathery tan of all lake boatmen. There is something austere about him, however, that is out of synch with the sensual Mediterranean ways of the lake. 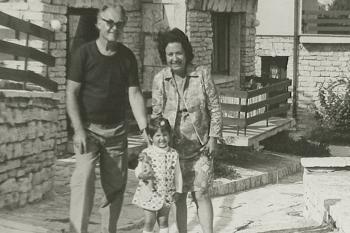 “I was born in Pogradec of parents from different sides of the border,” he says, “just before the border closed.” In the late 1940s, many Albanians risked being shot to escape Enver Hoxha’s brutal regime by crossing the border. Tanas’s father was among them. We putter along the western shore, past reed beds where fish release their eggs. On land, houses huddle in the dark ranges, dotted with the odd white minaret; the villages are religiously mixed. On the eastern shore, Galichitsa Mountain (2,254 metres) dominates the lake. From its summit you can see both lakes. In the wake of his father’s escape into Yugoslavia, Tanas’s family were deemed enemies of the state. “And your mother?” I ask. The weather has turned. Waves, as solid as concrete, slam into the boat. In 1991, when the border opened, she walked to the new St Naum checkpoint at the southern tip of the lake. Her husband was waiting on this side. Tanas turns off the engine. We are close to the middle of the lake, far from any shore. I feel it now: 288 metres of cold black water below us, covering its secrets – war planes, human bones, Neolithic settlements, discarded statues from former regimes. “The water border is 400 metres away,” Tanas says, but when I ask to cross it, he refuses; police patrol the Macedonian side and if we were caught he would lose his licence. “During the Kosovo war there were lots of drugs and people-smuggling and they tightened border controls,” he says. The Kosovo war segued into Macedonia’s own small and nasty civil conflict in 2001, the last of the decade-long Yugoslav agony. It was fought in the north, near the border with Kosovo, and ended here, with the Ohrid agreement. But, in the law of border momentum, it is easier for a border to freeze than to thaw – even on water where it only exists in our heads. We ride back with the wind in our faces, past Kalishta Monastery with its “miraculous” Black Madonna icon brought by a medieval monk from Mount Athos and believed to cure infertility and illness. According to legend, she was thrice thrown in the lake by soldiers, and each time she swam back. he next day, I make another attempt to get to Albania, this time by car. Confused by road signs, I take the lakeside road and end in the last fishing village on the Macedonian side. Vertical steps hewn from stone lead to the painted 13th-century cave-church of Archangel Michael. In most lakeside frescoes, the eyes of the figures have been dug out – as an act of vandalism but also from superstition: peasants believed in the curative power of the paint and ingested it as a paste. But here the archangel’s eyes were spared – though each time I look at them, they seem to open and close as if alive. From high in the cliffs I can see the whole lake, shimmering in the sunshine, and the places where the winds meet, drawing ciphers on the water. Just above the village are the remains of Via Egnatia, a legendary road which is largely responsible for the lake’s long history of trade and invasion. Built in 146 BC to connect Dyrrachium (Durres) on the Adriatic to Salonica on the Aegean and Constantinople on the Bosphorus, it served as a vital artery between East and West – until it fell into disrepair under the late Ottomans. Now only short cobbled sections of it survive. “There was more of it in my childhood, but people used it for their barns,” says a man with a mule, the only person I see in the border forest. This is how history looks on the ground: not a parade of great events, but a quiet recycling chain. he checkpoint at the mountain pass of Chafassan is sleepy but its history is not. This was the boundary between Illyria and Macedonia, a gathering point for brigands and guerrillas, armies and traders. 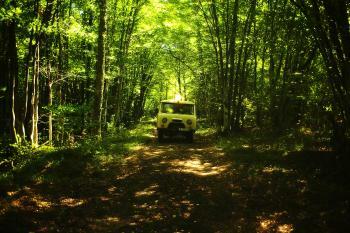 Over the pass, two roads snake downhill – east to the lake and west to the Adriatic. There are goats scattered over the crags and bunkers among them. A new statue of Mother Theresa, an Albanian born in Skopje – then in Ottoman Macedonia – stands at the crossroads, hands in the prayer position. Under Enver Hoxha, any expression of religious faith was severely punished, churches and mosques destroyed, and the only permitted worship was Enverism. The first fishing village on the Albanian side is Lin. To reach it, I drive past fields where older women in long peasant skirts are bent in the afternoon heat, hoeing by hand. Though the lake’s topography is similar on this side, it feels different, as if time had been arrested here and is trying to catch up. In Lin, a tranquil village smothered in vineyards, I sit on a restaurant terrace over the water and eat delicate-fleshed Ohrid trout, followed by moist lemon cake. The waiter speaks Italian and the salad is speckled with oregano; the breeze from across the Adriatic is more tangible here. Along the lakeside road boys hold up trout for sale. The fish is apparently endangered on the Macedonian side, but not here, where fishing remains a key livelihood. A disused railway runs parallel to the road. It had linked the lake to the rest of the country – but after Albania’s civil collapse in 1997, it became too dangerous. Abandoned nickel mines stand roofless in the reddish hills, a scene of Gothic desolation. But the road is wide and new, with spaces to stop and bird-watch in the reed beds or take a dip undisturbed. At last I am in Pogradec. It is a pleasant town with a hinterland of ancient history that includes the monumental Illyrian tombs of Seltsa in the nearby mountains (only visitable with a guide). Though the centre is marred by grey, communist-era blocks and lined with shops selling dated goods, the old town retains its arched, Ottoman doorways and hanging vines. Efforts have been made in the last decade to spruce up the lake shore and pedestrianise the handsome main square, and the lakeside is lined with decent restaurants, but Pogradec is tangibly haunted by its recent past. Jobless men sit in cafés and bingo halls, as if waiting for the tranzicion to pass. “But the tranzicion is still here,” says Andi Kosta, a local poet who’s agreed to show me around. The transition is the post-communist era of economic freefall and mass emigration that doesn’t seem to have ended here – or over the border. Or anywhere else in the Balkan peninsula. Old men, whose faces are stamped with suffering accumulated during Enverism, cycle into the traffic. 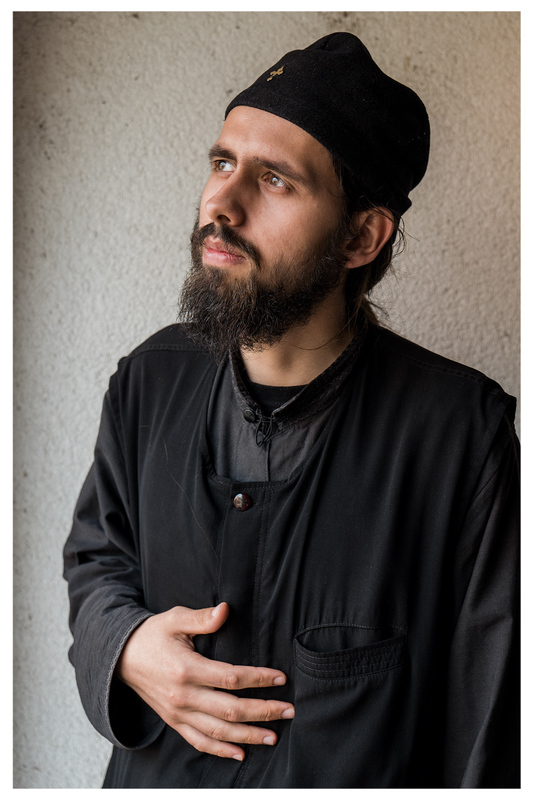 Kosta and I peek into the rose garden of Shen (Saint) Nikola Church in the old town, where a softly spoken priest, once an agronomist, tells me that many Muslims, especially of the Sufi order of the Bektashi, come to light a candle here. This was true of Albania throughout its tough history: during the centuries-long Ottoman colonisation, Albanians developed an ability to switch between religions. This was key to their survival and emergence into 20th-century statehood. 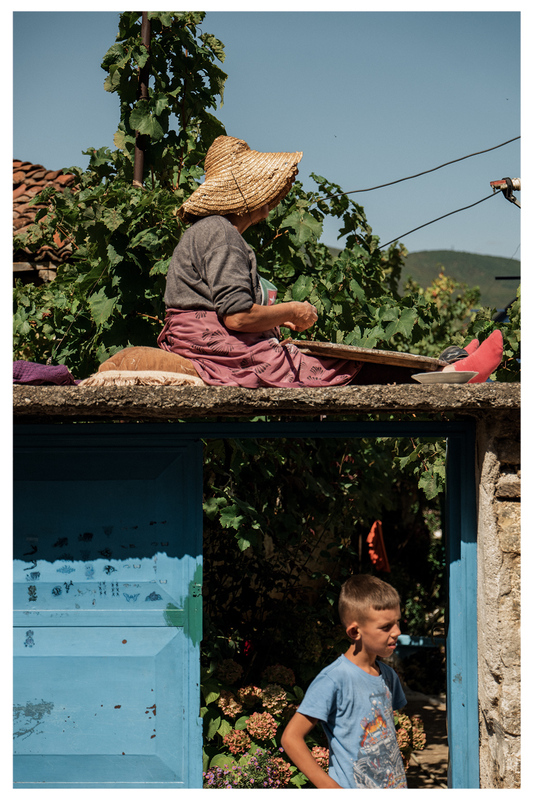 Even after the communist tyranny, turbulent transition, the trauma of war next door, and severe brain-drain abroad, Albania and Macedonia hold on to their tolerance. The water is transparent. Boys jump off a water slide as if into an abyss of light. 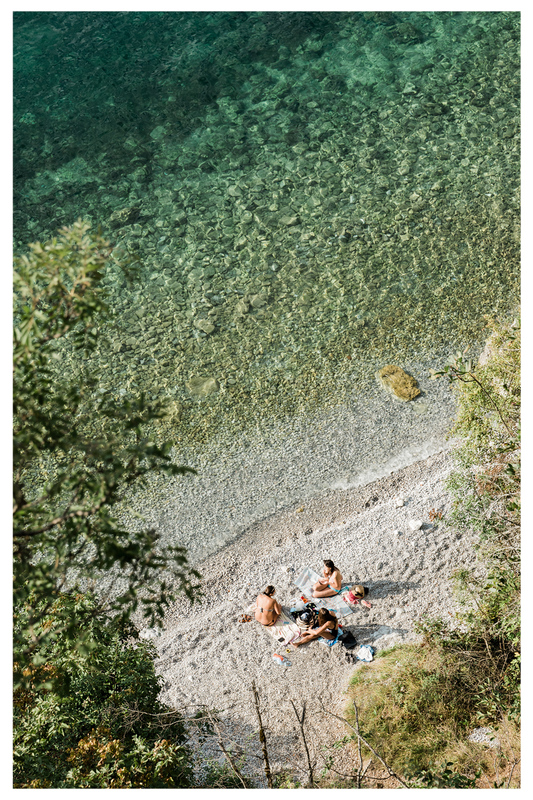 We drive to Drillon Springs to see the reason for the lake’s ethereal quality: the hundreds of springs that feed it. Underground channels through Galichitsa Mountain bring water from Prespa (853 metres above sea level), to Ohrid (693 metres). The porous limestone acts as a filter, making this Europe’s largest natural reservoir of clean water. We order Korcha beer in a café by the springs of Drillon which rush into the lake. “This café was Hoxha’s holiday villa,” Kosta says. “The area was militarised. At night, torch beams swept the lake, to patrol the border – except when he was here.” The light apparently disturbed him. “As kids we’d walk on the beach hunting for Coca Cola cans from the Yugoslav side. We’d look across at the lights of Ohrid and long to go there.” I might have been on the other side looking towards him. I continue alone – past the last tranquil sand beaches dotted with fish restaurants playing Italian music, past the featureless hotels of the transition built with laundered money and blocking the view to the lush village of Tushemisht. Up the border hill with its disused observation tower and past the last bunker to the Saint Naum checkpoint which has only existed since the early 1990s. And I am in Macedonia again. The road climbs past the monastery, under the shadow of Galichitsa, and meanders on, hugging the cliffs. I pass the turn-off to Lake Prespa, which has its own microclimate, wildlife and enigmatic ruins – as well as a lakeside checkpoint with Greece, which was closed in 1966 during Greece’s military dictatorship and is yet to be opened. Back on lake level, in the fishing village of Peshtani, I pull over by the empty beach and get out. The lake is ablaze with sunset, the mountains purple. Not a boat disturbs its surface. I wade into the water, sandals and clothes on. My grandmother missed her lake all her life and died far from it, and I have come home for her.